This one's pretty obvious. Rashes, hives, and allergies on parts of your skin where the product was applied means a couple of things: it might be too harsh for you, it might be made from impure ingredients, or you might just be allergic to it. Ditch it, stat. Obviously, the product you're using isn't right for you. What may be happening is that your facial wash is too strong, stripping too much oil from your face, causing the over-production of sebum. This attracts more dirt, clogs up your pores, and results in more acne than there was to begin with. Contrary to popular belief, that feeling of tightness on your face isn't actually a sign that your facial wash has properly done its job. Squeaky clean is good, but too much might be a sign that your chosen product is too harsh. Dial it down and opt for a wash that is effective but still cares for your skin. Now that you've been informed, pay closer to attention to your facial care product because the health of your mug depends on it. And, if you need any more incentive, how's this: it's gonna be significantly more difficult to attract the females when your face is craggy, full of pimples, and oily as a pizza. Furthermore, it's likewise difficult to flash your winning smile when your skin is too tight from your too-strong facial wash.
For a deep clean that doesn't over-dry your skin or cause skin tightness and a burning sensation, try NIVEA MEN Anti Oil + White Cooling Mud Foam. The unique mud foam formula controls oil production (it uses Carnitine, which prevents oil from easily coming back) while, at the same time, acting like a magnet sucking out all the impurities that may cause acne formation. On top of that, NIVEA MEN Anti Oil + White Cooling Mud Foam contains Rucinol, which helps whiten dark spots 10 times better than Vitamin C.
Feel refreshed with the cooling menthol, and benefit from a wash that is gentle on your face but tough on dirt and impurities. Let it get to work and enjoy your best face yet. 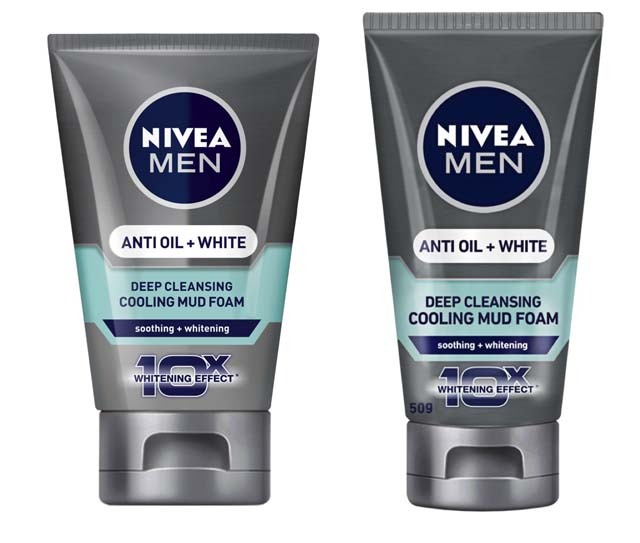 Click here to learn more about NIVEA MEN Anti-Oil + White Cooling Mud Foam. This article was created by Summit Storylabs in partnership with Nivea Men.